MHT CET Answer Key 2020: Directorate of Technical Education, commonly known as DTE Maharashtra, will release the MHT CET Answer Key 2020 in a week or two after the conclusion of MHT CET 2020 Examination. Furthermore, the exam will be held in the month of May 2020. Also, applicants will be able to check the MHT CET Answer Key from the official website of State Common Entrance Test Cell Maharashtra. The Candidates will have to log in to their registered account, which they created at the time of registration, by entering the user name and password. Moreover, MHT CET Answer key will contain the correct answers to the questions asked in the main Exam. Candidates can cross-check their responses during the exam with the answers given in the CET Answer Key 2020. This will allow candidates to make an estimation about the MHT CET score they might have secured in the MHT CET 2020. This article will serve the purpose of informing candidates about the MHT CET Answer Key, Release Dates, and Access Procedure etc. MHT CET Answer Key 2020 will release right after the completion of the exam session. Furthermore, students can download and cross check with their answers. Also, in case any candidate has objections, they may do so in a given time frame. After that, DTE will release another final MHT CET Answer Key after attending all the challenges and objections. MHT CET Answer Key 2020 related important dates are given below. 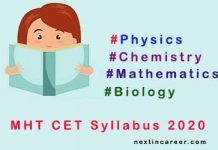 How to get MHT CET Answer Key 2020? MHT CET Answer Key will available on the official website of State Common Entrance Test Cell Maharashtra. Students, in order to check the answer key, will have to login with their registered ID by entering their Username and password; as a result, they will have access to the Answer Key. Candidates, after the conclusion of the MHT CET 2020 Examination, can avail the Answer Key by simply following the steps below. Firstly, go to the Official Website of State Common Entrance Test Cell Maharashtra. Secondly, login in with registered ID by entering the Username and Password. Thirdly, enter the details about that which is being asked. Fourthly, select the “View Answer Key” option. Finally, Answer Key will open in PDF Format which can be downloaded. Firstly, candidates, if at all, will have the provision of challenging the official Answer Key. Moreover, the Directorate of Technical Education (DTE) will allot a specific time frame for students to raise their objections and challenges. DTE, after attending all the objections, will re-release the official Answer Key with relevant changes. Once the Final Answer Key will release, candidates, can review the answers and estimate their scores. In order to do that, candidates must be aware of CET Marking Scheme. The table below shows the Marking Scheme to be followed while calculating the MHT CET 2020 test score. The exam conducting body will release the answer key. The Candidate Response Sheet will also post which will accessible upon login. The Response Sheet will contain the Exam set, Answer attempted, and the correct answer. Furthermore, the Answer Key will carry all the correct answers to the questions asked in the examination. 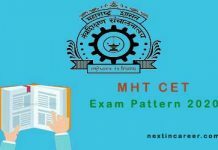 Candidates can download the MHT CET Answer Key if it is made available on the official website and cross-check all the answers. After taking the MHT CET 2020 successfully, candidates will be informed about their performance. 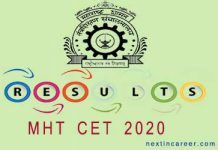 MHT CET Result will be released in the month of June 2020 immediately after the conclusion of the MHT CET 2020 Examination. Candidates will be able to check their respective assessment scores from the official website of MHT CET 2020. To check the Results, candidates will have to go to the official website and click the link to the MHT CET 2020 Result. Upon entering the result portal, candidates will have asked to enter in their username and password. The results for MHT CET 2020 will release in test score with the number of correct answer and number of the wrong answer. Previous articleAssam MBBS Merit List 2019 – Check Dates, Merit List details etc.